I break the research and the rigor of Positive Psychology down into bite size morsels for you to easily learn and practice. Because when we know better... We do better! The 1 Thing You Can Do Right Now To Be Happier! Happy people feel better, do better and live longer. The big question is HOW do we become happier? 40% of our happiness is determined by voluntary activities, like what we think, do and feel! 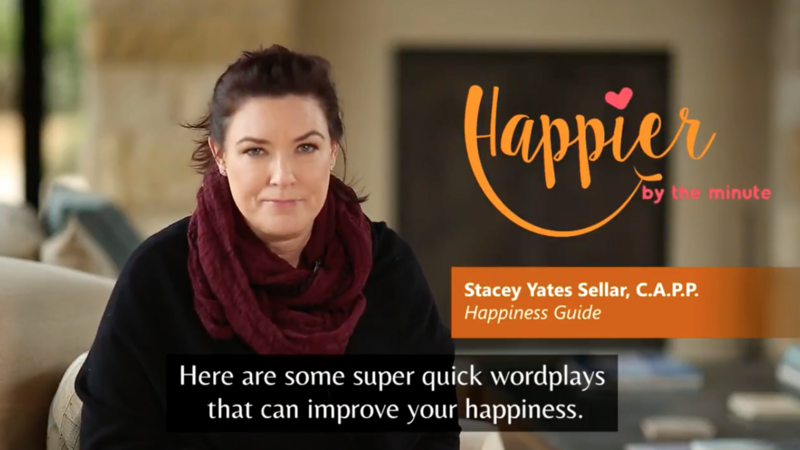 Here are some super quick wordplays that can improve your happiness. Change the word “HAVE TO” to “GET TO”. I know- you are busy - and that there are a million other posts vying for your attention right now…. cute cat videos, share-worthy quotes in beautiful calligraphy, what your sister just made for dinner and friends w bumblebee antennas on their heads— but- swiper stop swiping for just one minute. There is a field that studies what is RIGHT with you! 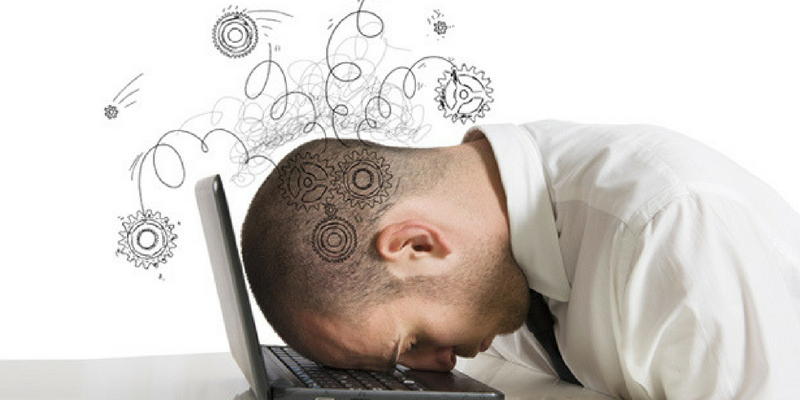 Watch these 3 short, FREE videos to find out what it takes to have the life of your dreams. 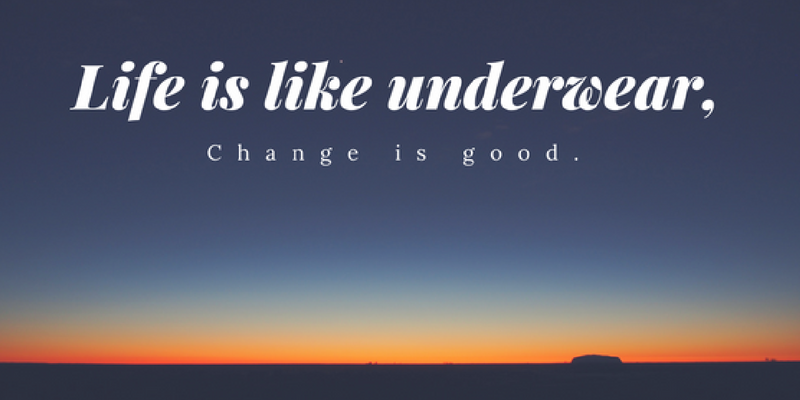 Change this 1 thing and you can change your life! Watch this set of videos to understand that annoying mind chatter in your head, what it is called and how to tame the negativity. The Holy Grail of Happiness is found in this video series! 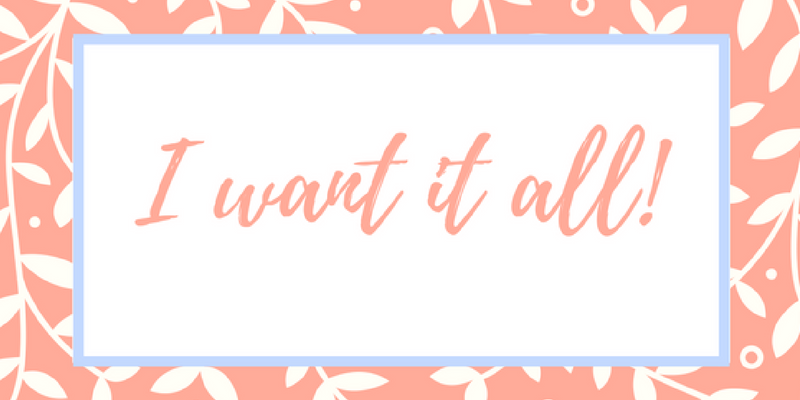 Do you know what you REALLY want out of life? Money? Love? Success? A house on an island? Shoot, why not the whole island? Watch this FREE series to get clarity on what you really want out of life. Have you failed yet? AWESOME! Then you are on the right track. 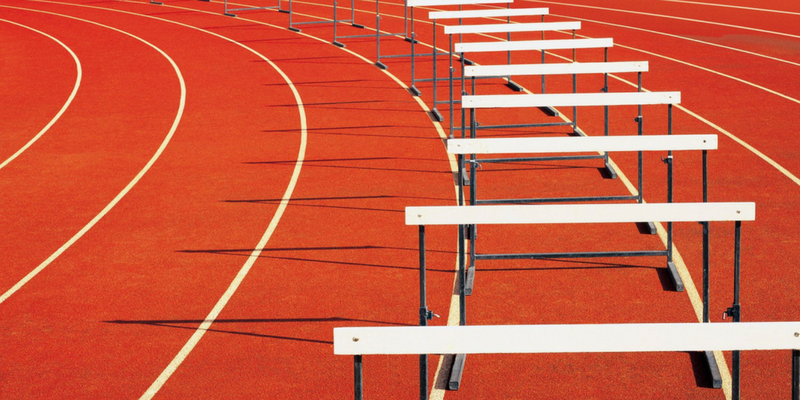 Watch this series to learn why failure isn't a dirty word. Wait until you see the company you are in. "Can't recommend Stacey enough! I've always wanted to pursue a freelance career but never managed to get going, it seemed like an overwhelming task . In our first coaching session, Stacey helped me turn my end dream into a series of smaller, manageable steps. Each session leaves me feeling motivated and fully capable of completing everything that needs to be done. I come away from them with a practical plan of action, and some food for thought on how my behaviour can affect my achievements (the good and the bad). I love how to down to earth Stacey is, and so easy to talk to. In one month I've moved forward further in my goals than in six years! Thank you Stacey." "I want to thank for all your tips and I love to watch your videos because you are such positive person. I learned so many things from your videos and I found some things which I can improve to have a better life, all thanks to you." "Looks fantastic, incredibly simple messages told in a compelling way. I’ve watched a few of her youtube videos and have subscribed. This stuff is so important and should be taught in schools. she is brilliant. " "No wonder my friend Jamie calls you Oprah- because you've got a gift. YOU are VERY inspiring!!!" "Thanks Stacey for the guidance. You are truly the Idea Sage. I'm getting happier one minute at a time." "What a wonderful way to start our Monday morning. Thank you so much for the inspiration and positivity! 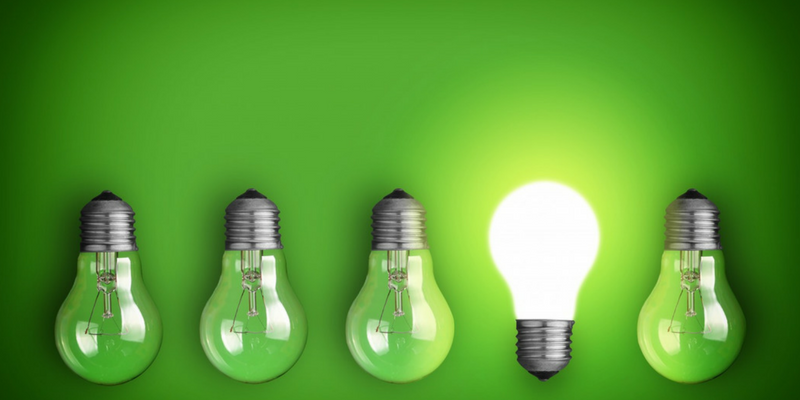 I'm so excited to put these wonderful ideas into practice!" "I want to express appreciation for your inspiring presentation on our call today. Your years of research, your depth of understanding, your personal connection, and your ability to present the subject of positivity in such an interesting way produced a memorable conference call. I personally appreciated your energy and conviction." 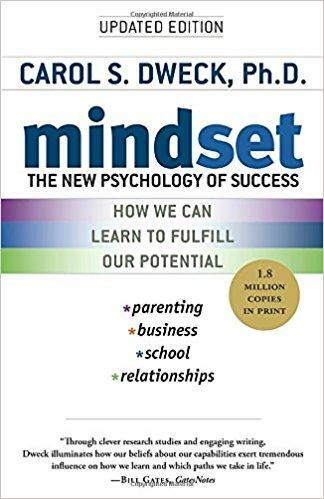 In this brilliant book, Carol S. Dweck, Ph.D. shows how success in school, work, sports, the arts, and almost every area of human endeavor can be dramatically influenced by how we think about our talents and abilities. People with a fixed mindset—those who believe that abilities are fixed—are less likely to flourish than those with a growth mindset—those who believe that abilities can be developed. Mindset reveals how great parents, teachers, managers, and athletes can put this idea to use to foster outstanding accomplishment. 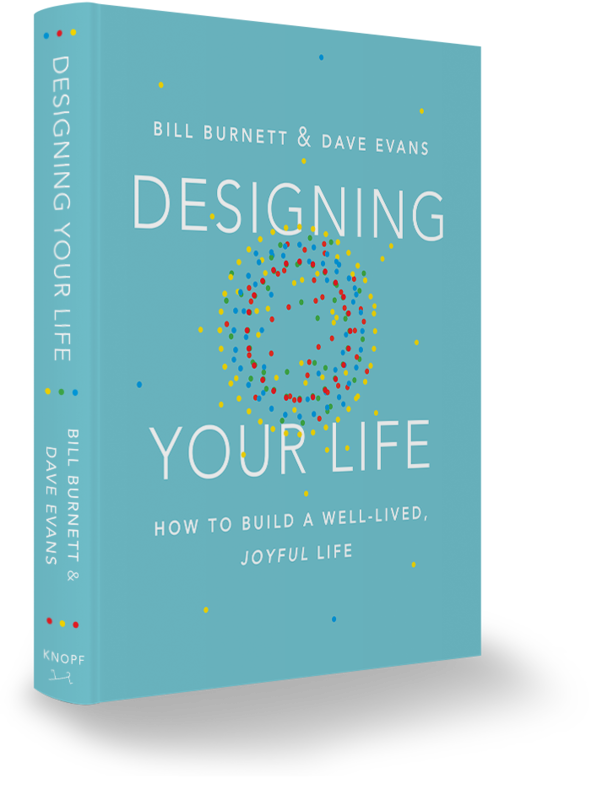 In this book Bill Burnett and Dave Evans show us how design thinking can help us create lives that are both meaningful and fulfilling, regardless of whom or where we are, what we do or have done for a living, or how young or old we are. The same design thinking responsible for amazing technology, products, and spaces can be used to design and build your career and your life, a life of fulfillment and joy, constantly creative and productive, one that always holds the possibility of surprise. 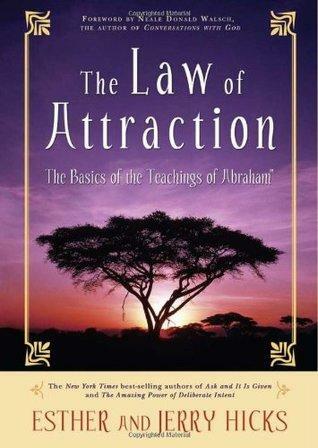 This text presents the powerful basics of the original Teachings of Abraham. 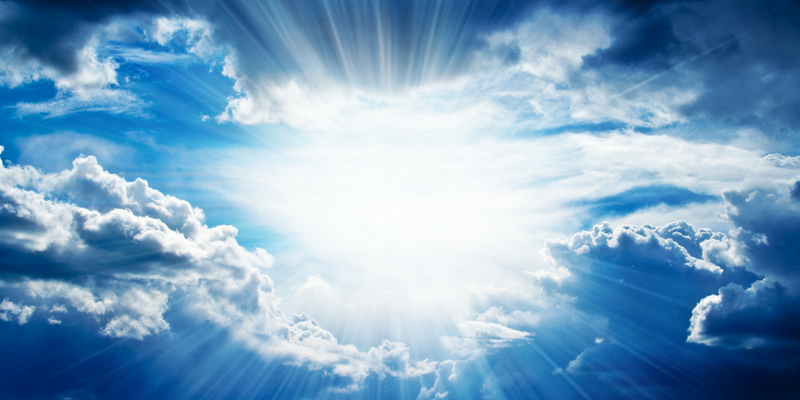 Readers will learn how all things, wanted and unwanted, are brought to you by this most powerful law of the universe - the law of attraction. Turning the science of happiness into daily habits. It’s not a program, it’s a practice! 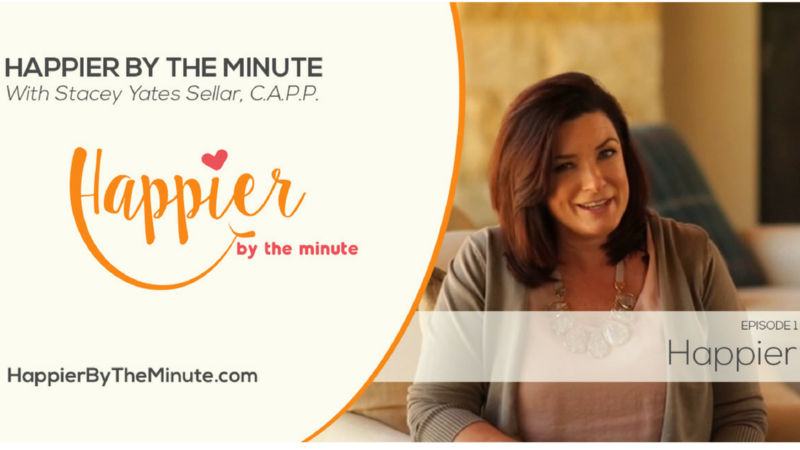 Join me weekly to learn how to be happier by the minute. Turning the science of happiness into daily habits. It’s not a program, it’s a practice! If I told you that you could improve your level of happiness with just two words, would you believe me? 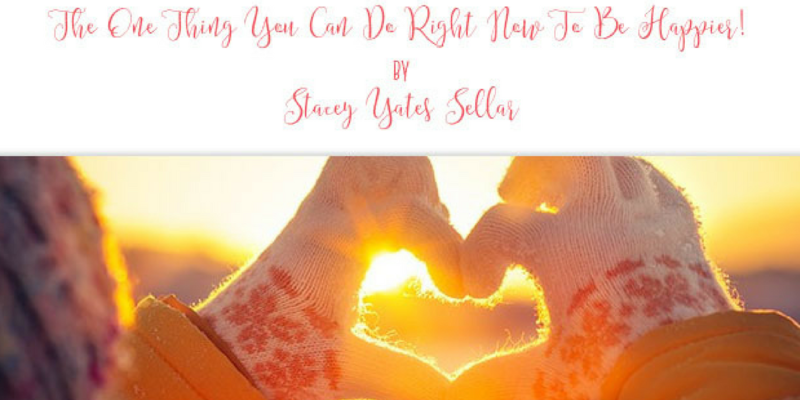 Do you want to receive helpful emails that share tips, resources, and the research and the rigor of Positive Psychology down into bite size morsels for you to easily learn and practice?